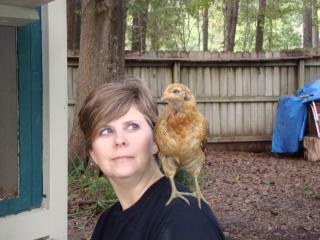 Talk to me 6 months ago and I would have laughed if you suggested that we would own chickens. But since the end of September the adventure has begun. 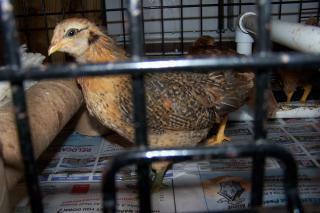 My wife and I bought 6 hens; 2 Ideals, 2 Rhode Island Reds and 2 Araucanas. 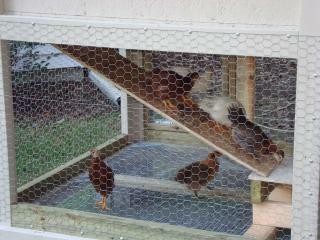 Ginger, Mary Ann, Lavern, Shirley, Lucy and Ethal. 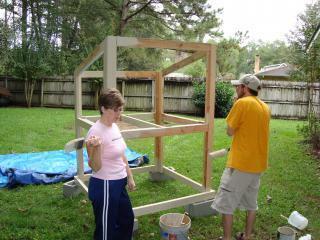 We decided to build a coop we could move around the yard. Also we had to do one that was raised off the ground. We live in Southern Louisiana and everytime it rains our backyard fills with water. 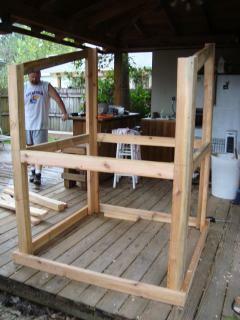 Most of our coop was built out of scrap lumber and supplies. We have a whole... $96 in it. We still need to add a run to the side, but I think we will wait a few months. 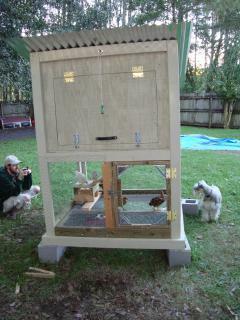 Enjoy the pictures of us building the coop and pictures of our girls. The Frame is starting to take shape. Moved it out to our yard to get a good coat of paint on it. 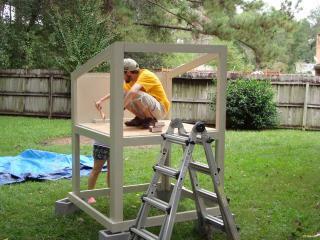 That is not a chicken in the coop, just my son getting a good coat of paint on the floor. Almost done... but getting late and have to stop for the night. 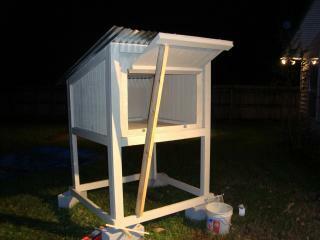 Building is done, now just one more coat of paint to make it look really nice. The girls aer figuing out this ramp thing. It didn't take long. 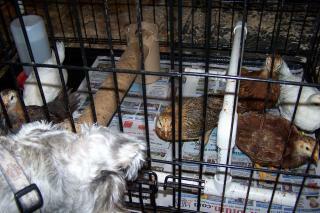 Their home until the coop was finished, a takedown dog kennel. 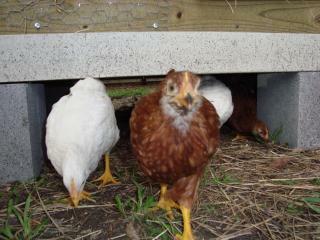 Here is one of our RIR, she is very friendly and loves the camera. Do not sit around her, she will jump into your lap to be held. Spoiled?